Line 5 Condos is a new condo development by Reserve Properties coming soon on sale at 110 Broadway Avenue, Toronto ON M4P 1V7. Project has a total of 701 units in two 28 & 35 storey towers in Toronto’s Yonge & Eglinton neighbourhood, located at the major intersection of Mt. Pleasant Rd & Broadway Ave, rises stylishly in this premium neighbourhood. Line 5 Condos is a new condo development by Reserve Properties coming soon on sale at 110 Broadway Avenue, Toronto ON M4P 1V7. 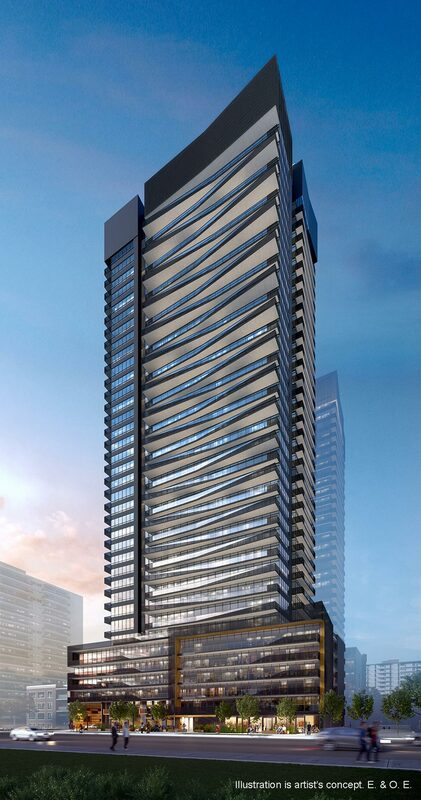 Project has a total of 701 units in two 28 & 35 storey towers in Toronto’s Yonge & Eglinton neighbourhood. Yonge and Eglinton at the centre of everything, With a Walk Score of 98, Yonge and Eglinton’s impressive daily foot traffic tops an estimated 80,000 pedestrians daily – rivalled only by Toronto’s Yonge and Dundas Square. It’s already a walker’s paradise, but soon, with the imminent Crosstown LRT, the intersection will be even more accessible than ever before. By foot, by train, by car – you decide. When completed in 2021, the 19km LRT will significantly cut travel 98 time, while linking to 54 local bus routes, three subway interchanges and GO Transit. It means getting to the Eaton Centre in just 20 minutes, Union Station in 24, and Pearson International Airport in as little as 45. Yonge and Eglinton is self-contained and well-established, surrounded by Georgian-and-Tudor-style homes, peppered with some older, taller buildings. The area has been experiencing massive growth, especially since the LRT became a reality. Surrounded by Forest Hill, Lawrence Park and Lytton Park, Yonge and Eglinton brushes shoulders with some of the city’s most prestigious addresses. E2 Condos neighbours Yonge Eglinton centre which is Currently completing a $100 million upgrade. Retail space is being renovated and expanded. Major retail tenants include Urban Outfitters, Indigo, Metro, Cineplex, LCBO, GoodLife Fitness, Winners, Toys R Us, with prominent corner space anchored by the likes of Sephora. A total of 12 additional floors to be added to the 2 existing office buildings, providing more employment opportunities. as an example of some.